Christianity is under attack today, and it must be defended. There are attacks from within--from cults, sects, and heresies. And there are attacks from without-- atheists, skeptics, and other religions. The discipline that deals with a rational defense of the Christian Faith is called apologetics. It comes from the Greek word apologia (cf. 1 Peter 3:15) which means to give a reason or defense. It is said that the Bible is like a lion; it does not need to be defended but simply let loose. A lion can defend itself. Several things should be noted in response. First, this begs the question as to whether or not the Bible is the Word of God. Of course, God's Word is ultimate, and it speaks for itself. But how do we know the Bible is the Word of God, as opposed to the Qur'an, the Book of Mormon, or some other book? One must appeal to evidence to determine this. Second, no Christian would accept the claim of a Muslim without question that "the Qur'an is alive and powerful and sharper than a two-edged sword...." We would demand evidence. Third, the analogy of the lion is misleading. A roar of a lion "speaks for itself" with authority only because we know from previous knowledge what a lion can do. Without the tales of woe about a lion's ferocity, its roar would not have that authority. Likewise, without evidence to establish one's claim to authority, there is no good reason to accept that authority. Many, if not most, non-Christians assume that Christianity is a "blind faith"... that Christians ignore reality and have unquestioning loyalty to an absolute belief system without proof or evidence. In fact, that they believe contrary to all evidence and facts. Much to the contrary, the Christian faith is a commitment based on evidence, which includes the Bible’s humanly impossible authorship, it's candor about the faults and failings of it's main characters, fulfilled prophecy, and it's archaeological and scientific accuracy... none of which are seen in the books of other religions. It is argued that Jesus rebuked people who sought signs. Hence, we should be content simply to believe. Indeed, Jesus did on occasion rebuke sign seekers. He said, "A wicked and adulterous generation asks for a miraculous sign!" (Matt. 12:39 cf. Luke 16:31). However, this does not mean that Jesus did not desire people to look at the evidence before they believed for many reasons. First, even in this very passage Jesus went on to offer the miracle of His resurrection as a sign of who He was, saying "But none will be given it except the sign of the prophet Jonah (Matt. 12:39-40). Second, when John the Baptist inquired whether He was the Christ, Jesus offered miracles as proof, saying: "Go back and report to John what you hear and see: The blind receive sight, the lame walk, those who have leprosy are cured, the deaf hear, the dead are raised, and the good news is preached to the poor" (Matt. 11:5). And when replying to the Scribes, He said: "`But that you may know that the Son of Man has authority on earth to forgive sins.' He said to the paralytic, `I tell you, get up, take your mat and go home'" (Mark 2:10-11). Nicodemus said to Jesus, "Rabbi, we know you are a teacher who has come from God. For no-one could perform the miraculous signs you are doing if God were not with him" (John 3:2). Third, Jesus was opposed to sign-seeking or entertaining people by miracles. Indeed, he refused to perform a miracle to satisfy king Herod's curiosity (Luke 23:8). On other occasions He did not do miracles because of their unbelief (Matt. 13:58), not wishing to "cast pearls before swine." The purpose of Jesus' miracles was apologetic, viz., to confirm His message (cf. Ex. 4:1f; Jn. 3:2; Heb. 2:3-4). This He did in great abundance, for "Jesus of Nazareth was a man accredited by God to you by miracles, wonders and signs, which God did among you through him..." (Acts 2:22). Opponents argue that Paul was unsuccessful in his attempt to reach the thinkers on Mars Hill (in Acts 17), discarding the method and later telling the Corinthians that he wanted to "know Jesus and Him only" (1 Cor. 2:2). However, this interpretation is based on a serious misunderstanding of the text. For one thing, Paul did have results on Mars Hill. For some people were saved, including a philosopher. The text says clearly "A few men became followers of Paul and believed. Among them was Dionysius, a member of the Areopagus, also a woman named Damaris, and a number of others" (Acts 17:34). Third, Paul statement about preaching Jesus and Jesus only is not a change in the content of Paul's preaching. This is what he did everywhere. Even to the philosophers "he preached Jesus and the resurrection" (Acts 17:18 cf. v. 31). So there was nothing unique about what he preached; it was simply how he did it. Hebrews 11:6 insists that "without faith it is impossible to please God." This would seem to argue against the need for reason. In fact, it would appear that asking for reasons, rather than simply believing, would displease God. In response to this argument against apologetics two important points must be made. Second, God in fact calls upon us to use our reason (1 Peter 3:15). Indeed, He has given "clear" (Romans 1:20) and "infallible proofs" (Acts 1:3 NKJV) so that we do not have to exercise blind faith. Third, this text in Hebrews does not exclude "evidence" but actually implies it. For faith is said to be "the evidence" of things we do not see (Hebrews 11:1 NKJV). For example, the evidence that someone is a reliable witness justifies my believing his testimony of what he saw and I did not. Even so, our faith in "things not seen" (Hebrews. 11:1 NKJV) is justified by the evidence we have that God does exist which is "clearly seen, being understood from what has been made" (Romans 1:20). The apostle wrote, "the world by wisdom knew not God" (1 Cor. 1:21 NKJV). Thus, it is argued that human reason does not lead to God. However, this cannot mean that there is no evidence for God's existence, since Paul declared in Romans that the evidence for God's existence is so "plain" as to render even the heathen "without excuse" (Roman. 1:19-20). Further, the context in 1 Corinthians is not God's existence but His plan of salvation through the cross. This cannot be known by mere human reason but only by divine revelation. It is "foolish" to the depraved human mind. What is more, the "wisdom" of which he speaks is "the wisdom of this world" (v. 20), not the wisdom of God. Paul called a sophists the "disputer of this age" (v. 20). Sophist could argue for argument's sake. This leads no one to God. Paul's reference to the world by wisdom not knowing God is not a reference to the inability of human beings to know God through the evidence He has revealed in creation (Romans 1:19-20) and conscience (Romans 2:12-15). Rather, it is a reference to man's depraved and foolish rejection of the message of the cross. Finally, in this very book of 1 Corinthians Paul gives his greatest apologetic evidence for the Christian Faith-- the eyewitnesses of the resurrection of Christ which his companion Luke called "many infallible proofs" (Acts 1:3 NKJV). Indeed, even though man knows clearly through human reason that God exists, nevertheless, he "suppresses" or "holds down" this truth in unrighteousness (Romans 1:18). Paul insisted that "the man without the Spirit does not accept the things that come from the Spirit of God..." (1 Cor. 2:14). They cannot even "know" them. What use, then, is apologetics? In response to this argument against apologetics two things should be observed. First, Paul does not say that natural persons cannot perceive truth about God, but only that they do not receive (Gk: dekomai, welcome) it. Indeed, Paul emphatically declared that the basic truths about God are "clearly seen" (Romans 1:20). The problem is not that unbelievers are not aware of God's existence but that they do not want to accept Him because of the moral consequences this would have on their sinful lives. Second, 1 Corinthians 2:14 (NKJV) says they do not "know" (ginosko) which can mean to know by experience. In other words, they know God in their mind (Romans 1:19-20) but they have not accepted Him in their heart (Romans 1:18). The Bible says, "The fool has said in his heart, `There is no God'" (Psalm 14:1). First, the Bible does not teach that the Holy Spirit will always do this apart from reason and evidence. It is not either the Holy Spirit or reason. Rather, it is the reasonably Holy Spirit using good reason to reach rational people. Second, apologists do not believe that apologetics saves anyone. It only provides evidence in the light of which people can make rational decisions. It only provides evidence that Christianity is true. One must still place his faith in Christ in order to be saved. Apologetics only leads the "horse" to the water. Only the Holy Spirit can make him drink. If apologetics is biblical, then why don't we see it done in the Bible? There are two basic reasons for this misunderstanding. First, by and large the Bible was not written for unbelievers but for believers. Since they already believe in God, Christ, etc., there is no need to prove these truths to them. Apologetics is directed primarily for those who do not believe so that they may have a reason to believe. Some critics assert that human reason cannot gives us any information about God. A careful look at this objection reveals that it is self-defeating. First, it says that reason doesn't apply to questions about God. But this statement itself is offered as a reasonable statement about the issue of God. In order to say that reason doesn't apply to God you have to apply reason to God in that very statement. So reason is inescapable. Reason cannot be denied without being employed. Second, reason can tell us some things about God - at least hypothetically. For instance, if God exists, then it is false that He does not exist. And if God is a necessary Being, then He cannot not exist. Further, if God is Creator and we are creatures, then we are not God. Likewise, reason informs us that if God is omnipotent, then He cannot make a stone so heavy that He cannot lift it. For whatever He can make, He can lift. [Also See Can God create a stone so heavy that He cannot move it? It is argued that mere logic cannot prove anything. It is simply a formal discipline. It deals only with validity as such, not with truth. First of all, it is true that mere logic shows only what is possible or impossible. We know by logic, for example, that square circles are impossible. We know also that something can exist, since no contradiction is involved in claiming something exists. But we cannot prove by mere logic that something actually exists. Second, but we know that something actually exists in another way. We know it intuitively and undeniably. For I cannot deny my existence unless I exist to deny it. The statement "I don't exist" is self-defeating, since I have to exist in order to be able to make the statement. So, while mere logic cannot prove the existence of anything, we have undeniable knowledge that something exists. And once we know that something exists (e.g., I do), then logic can help us to determine whether it is finite or infinite. First, even from a biblical point of view God calls on us to use our reason (Isaiah 1:18; 1 Peter 3:15; Matthew 22:36-37). God is a rational being, and He created us as rational beings. God would not insult the reason He gave us by asking us to ignore it in such important matters as our beliefs about Him. According to this objection, the existence of God cannot be proven by human reason. The answer depends on what is meant by "prove." First, if "prove" means to demonstrate with mathematical certainty, then most theists would agree that God's existence cannot be proven. The reason for this is because mathematical certainty deals only with the abstract, and the existence of God (or anything else) is a matter of concrete, real existence. Mathematical certainty is based on certain axioms or postulates that must be assumed in order to get a necessary conclusion. But if God's existence must be assumed in order to be proven, then the conclusion that God exists is only based on the assumption that He exists, in which case it is not really a proof at all. Mathematical certainty is deductive in nature. It argues from given premises. But one cannot validly conclude what is not already implied in the premise(s). In this case one would have to assume God exists in the premise in order to validly infer this in the conclusion. But this begs the question. Second, if by "prove," however, we mean "give adequate evidence for" or "provide good reasons for," then it would seem to follow that one can prove the existence of God and the truth of Christianity. Indeed, many apologists have offered such proofs and people have become Christians after reading their writings (see "Sources" below). According to this argument, no one is ever persuaded by reason to accept a religious truth by reason. Psychological, personal, and subjective factors prompt religious decisions, not rational arguments. But this objection is patently false for many reasons. First of all, who ever became a believer because he thought it was irrational and absurd to do so. Certainly, the vast majority of people who believe in God or accept Christ do so because they think it is reasonable to do so. Second, this objections confuses two kinds of belief: belief in and belief that. Certainly, religious belief in God and in Christ is not based on evidence and reason. But neither is it done without them. Every rational person looks to see if there is evidence that the elevator has a floor before he steps in it. Likewise, all rational people want evidence that an airplane can fly before they get in it. So belief that is prior to belief in. Apologetics deals with the former. It provides evidence that God exists, that Christ is the Son of God, and that the Bible is the Word of God. A religious decision is a step of faith in the light of the evidence, not a leap of faith in the dark--in the absence of evidence. The most important reason for doing apologetics is that God told us to do it. Over and over the New Testament exhorts us to defend the Faith. 1 Peter 3:15 says, "But in your hearts acknowledge Christ as the holy Lord. Always be prepared to give an answer to every one who asks you to give the reason for the hope that you have." This verse says several important things. Finally, it links doing pre-evangelism with making Christ Lord in our hearts. If he is really Lord, then we should be obedient to Him by "destroying speculations and every lofty thing raised up against the knowledge of God, and ... taking every thought captive to the obedience of Christ" (2 Cor. 10:5). In other words we should be confronting issues in our own minds and in the expressed thoughts of others that are preventing them from knowing God. That is what apologetics is all about. In Philippians 1:7 speaks of his mission as one of "defending and confirming the gospel." He added in verse 16, "I am put here for the defense of the gospel" (Phil 1:16). And we are put where we are to defend it as well. Jude 3 declares: "Beloved, while making every effort to write to you about our common salvation, I felt it necessary to write to you appealing that you contend earnestly for the faith once for all given over to the saints." The people Jude was writing to had been assaulted by false teachers and he needed to encourage them to protect (literally agonize for) the faith as it had been revealed through Christ. Jude makes a significant statement about our attitude as we do this in verse 22 when he says, "have mercy on some, who are doubting." Apologetics, then, is a form of compassion. Titus 1:9 makes a knowledge of Christian evidences a requirement for church leadership. An elder in the church should be "holding fast the faithful word which is in accordance with the teaching, that he may be able both to exhort in sound doctrine and to refute those who contradict." In 2 Tim. 2:24-25 Paul declares that "the Lord's bondservant must not be quarrelsome, but be kind to all, able to teach, patient when wronged, with gentleness correcting those who are in opposition, if perhaps God may grant them repentance leading to the knowledge of the truth." Anyone attempting to answer the questions of unbelievers will surely be wronged and be tempted to lose patience, but our ultimate goal is that they might come to a knowledge of the truth that Jesus has died for their sins. Indeed, the command to use reason is part of the greatest command. For Jesus said, "Love the Lord your God with all your heart and with all your soul and with all your mind.' This is the first and greatest commandment" (Matt. 22:37-38). God created us with human reason. It is part of His image in us (Genesis 1:27 cf. Colossians 3:10). Indeed, it is that by which we are distinguished from "brute beasts" (Jude 10). God calls upon us to use our reason (Isaiah 1:18) to discern truth from error (1 John 4:6) and right from wrong (Hebrews 5:14). A fundamental principle of reason is that we should have sufficient grounds for what we believe. An unjustified belief is just that-- unjustified. Socrates said, "The unexamined life is not worth living." And the unexamined belief is not worth believing. Therefore, it is incumbent upon Christians "to give a reason for their hope." This is part of the great command to love God with all our mind, as well as our heart and soul (Matt. 22:36-37). Many people refuse to believe without some evidence, as indeed they should. Since God created us as rational beings He does to expect us to live irrationally. He wants us to look before we leap. This does not mean there is no room for faith. But God wants us to take a step of faith in the light--in the light of evidence. He does not want us to leap in the dark. We should have evidence that something is true before we place our faith in it. For example, no rational person steps in a elevator unless he has some reason to believe it will hold him up. Likewise, no reasonable person gets on an airplane that has a broken wing and smoke coming out the tail end. Belief that is prior to belief in. Evidence and reason is important to establish belief that. Once this is established, one can place his faith in it. Thus, the rational person will want some evidence that God exists before he places his faith in God. Likewise, rational unbelievers will want evidence for the claim that Jesus is the Son of God before they place their trust in Him. There were several significant rational turning points in Augustine's life before he came to Christ. First, was reasoned out of Manichaean dualism. One significant turning point here was the success of a young Christian debater of Manicheans called Helpidius (see The Confessions). Second, Augustine reasoned his way out of total skepticism by seeing the self-defeating nature of it (see his Against the Academics). Third, where it not for studying Plotinus, Augustine informs us that he would not even been able to conceive of a spiritual being, let alone believe in one (see The Confessions). This skeptic set out to disprove Christianity by showing the resurrection never occurred. The quest ended with his conversion and a book titled Who Moved the Stone? in which the first chapter was titled "The Book That Refused to be Written"! At the turn of the century the Professor of Law at Harvard, who wrote the book on legal evidence, was challenged by students to apply the rules of legal evidence to the New Testament to see if its testimony would stand up in court. 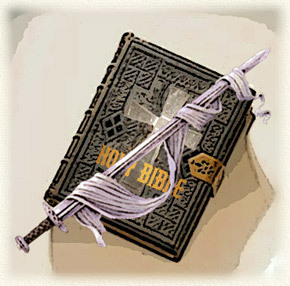 The result was a book titled The Testimony of the Evangelists in which he reported his own conversion to Christianity. I have received a number of letters and reports of people who have been converted after reading Christian Apologetics. God used its arguments as an instrument to bring people to Christ. Many people have been led toward or to Christianity as a result of debates we have had with atheists and skeptics. After debating Michael Scriven on "Is Christianity Credible? ", the University of Calgary audience voted three to one in favor of Christianity. The campus news paper report read: "Atheists Fails to Convert Campus Christians"! Following a debate on the rationality of belief in Christianity with the head of the philosophy department at the University of Miami, the Christian student leadership held a follow-up meeting. The atheist professor attended and expressed doubts about his view expressed at the debate. It was reported that some 14 people who had attended the debate made decisions for Christ. Let me tell you just one story about an atheist I had the privilege of introducing to Jesus Christ. After reasoning him from atheists to open-minded agnosticism, he agreed to read Frank Morrison's book. The evidence for Christ's resurrection convinced him and we had the privilege of leading him to Christ. He has subsequently raised his family for Christ and is a leader in a church south of St. Louis. "To be ignorant and simple now--not to be able to meet the enemies on their ground--would be to throw down our weapons, and to betray our uneducated brethren who have, under God, no defense but us against the intellectual attacks of the heathen. Good philosophy must exist, if for no other reason, because bad philosophy needs to be answered" (The Weight of Glory, 50). The reason we need to defend the true religion is because there are false religions. The reason we need to stand for authentic Christianity is that there are counterfeit forms of Christianity. * Unless otherwise noted, all quotations from the Bible are taken from the New International Version of the Bible (NIV).